Cover the best of Buenos Aires on this full-day tour. First, take a bus around the city and visit key landmarks such as the Colon Theatre, the Obelisk, San Telmo, and Recoleta as you listen to informative commentary about the city’s history from your guide. 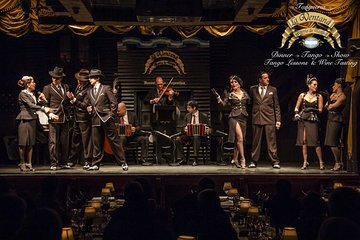 Then, head to La Ventana for a 1-hour tango lesson before sitting down to an Argentinian dinner and tango show.